If you are travelling to England or Germany, you’ll eat in the dining rooms/cafeteria on campus where you’ll be served 3 hot meals a day, with cold options available too. All camps offer a range of cuisines and can cater for any dietary requirements if we are notified in advance. Discover what Xplore offers across Europe. Our company’s home base is in England, allowing us to offer a wide variety of camp programs across the United Kingdom. Visit beautiful Northern Italy this summer! Are you looking for a more independent travel experience? In addition to Xplore’s range of international summer camps, we also offer experiences for the more independent student. 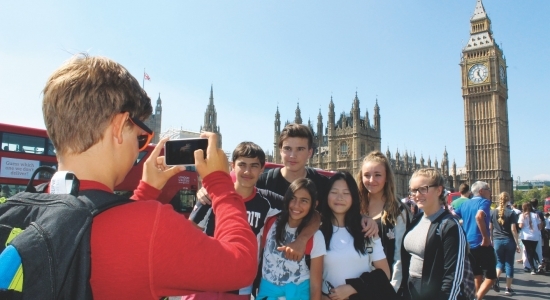 Students interested in immersing themselves in a new culture for a longer period of time can choose to study abroad for a full year at a premier English boarding school. Those looking to practice a language skill and get an inside look into a new culture can choose to spend 3-5 weeks in Spain, Italy, Germany or France. Our Homestay Immersion Program offers students a unique experience by pairing them with a loving host family in the country of their choice for a longer summer stay.